I don't know if I've ever seen anything so adorable! To promote his latest album, Wakin' on a Pretty Daze, Kurt Vile previewed the first single on his home record player. The video was promptly crashed by his little girl. She wears masks, dances around to the song and succeeds at being the cutest little thing in the indie world. Vile's wife gave birth to a second daughter back in December, so maybe we'll have a video with two adorable little girls for his next release! 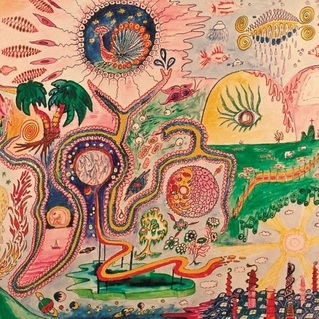 Wakin' on a Pretty Daze will be released on April 9. Though Cold Cave is known for dark, gloomy music, it's no less sad that a member of that family has passed away. Justin Benoit became a touring member of the band after the release of their first album, Love Comes Close, and recorded with them on a split single with Prurient. Some sources report that he was 35 years at passing, though others omit an age. No cause of death was reported. Justin passed on February 21. Main Cold Cave member Wesley Eisold eulogized Justin on the band's Facebook page. Cold Cave/Prurient - "Gravity's Victory"
This is the story of an unfaithful woman, played by Lily Cole, getting her comeuppance, told in reverse. Yeah Yeahs Yeahs will release their fourth studio album, Mosquito, on April 16, I can already tell that it will be a good one! 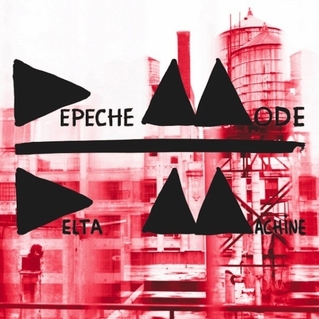 When I was younger, I was familiar with Depeche Mode, but thought that they were one of those flash-in-the-pan 80s acts. As I got older and gained further appreciation of music, I realized that they continued to command respect and sales into the 1990s and 2000s. This is the thirteenth studio album from the band and they still haven't been hurting for press or attention. Hopefully this is a band that can continue to produce quality music for years to come. 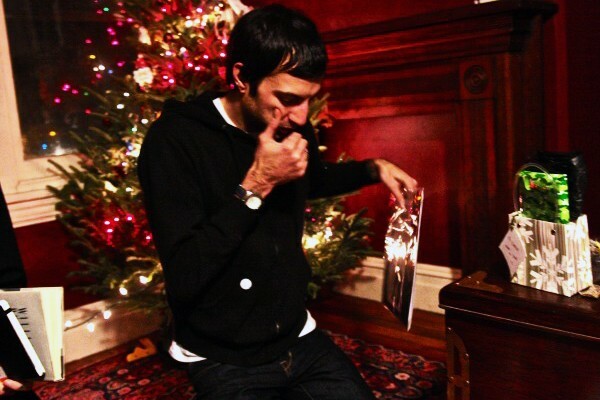 I think I would prefer a new solo album from guitarist Albert Hammond, Jr. or from Fabrizio Moretti's Little Joy than any more new releases from The Strokes. The band absolutely killed it with their first two albums, they were among my favorites in high school. Their third release wasn't the greatest, but I still enjoyed it. 2011's Angles was an inessential release, though I appreciate their attempt to broaden their sound. I'm not expecting much different from this release, but I'll still check it out. Wavves have practically been the poster boys for immature, drug-hazed young adult ennui for the new century. They continue much of the same sense of angst mixed with disconcern on this release, but have also managed to mature their sound at the same time. Much of the maturity comes in the form of better lyric-writing and more realized melodies. Even in previewing the album, it may be my favorite of theirs, and one of my favorites of the year so far. Listen/Watch: "Sail to the Sun"
This Glaswegian trio has been creating a lot of hype so far this year. They continue the proud Scottish tradition of making great pop music. This is their debut EP. 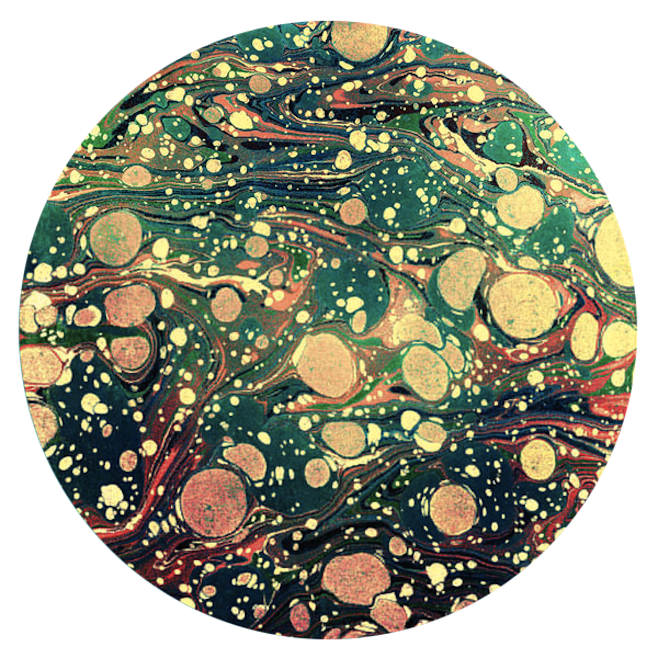 The Horrors released the digital version of this remix album back in December, but it's only now seeing the physical release. 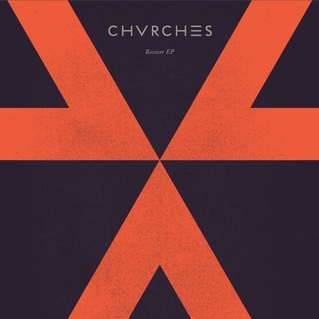 The album includes remixes of songs from Skying remixed by Daniel Avery, Peaking Lights and Andy Blake, among others. The Show: I caught Maps & Atlases at the 20th Century Theater in Cincinnati on January 23. Although I'd been listening to the band, I hadn't spent a lot of time with their music, so I was on the fence about going to see them live. I'm glad I made the choice, though, as the precise, mathematical folk sounds that are presented on their albums really come to life in a live setting. I arrived about 30 minutes after the opening act, a local band named Archer's Paradox, started playing. I caught the end of their set and, as far as local bands go, they weren't too bad, though they weren't doing anything particularly revolutionary with their sound. The real treat, and the reason I was there in the first place, was the main act. The lead singer is a sight to behold. Dave Davidson has long hair and a beard that almost rivals it in length. In true guitar virtuoso fashion, his nails are grown out long to aid in finger-picking. And he truly is a virtuoso, playing in a way that really separates him from what is typically expected from a guitar god (yes, I'm putting him in that group), with precise melodies in place of riffs and played in a way that is mesmerizing to watch. That's not to say, of course, that the rest of the band was any less impressive (though Dave's hair wins the whole thing). The bassist, Shiraz Dada, switches between his bass and a bass drum (which may not sound impressive, but you should have seen him playing). OK...so I spent the majority of the time looking at those two, I'm sure the drummer and second guitarist were just as awesome, though! A musical documentary of sorts on the world of wall-driving (is that what it's called?) in India. Django Django released their self-titled debut album in January of last year. This is the 10th album for the husband-wife band from Duluth, Minnesota. This release has been produced by Jeff Tweedy, best known for his work with Wilco. The group continues their simple, harmonized sound, sometimes labeled "slowcore," that they became known for. 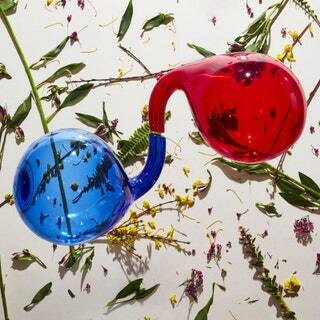 The second single from Chaz Bundick's (a.k.a, Toro Y Moi) side project. The first was "Fetch"/"Taken", released in September of last year. Cold Cave - "Oceans with No End"/"People Are Poison"
A new non-album single from the band. No word on a new album to follow up on 2011's Cherish the Light Years, but this is the second single from them in the past year, so I have my fingers crossed for something this year! In case you were wondering what really happens in a junkyard, Wavves have made a video to show us. 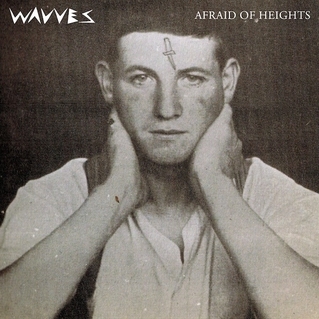 Wavves will be releasing their fourth full-length, Afraid of Heights, later this month. So, that's maybe not the most creative album artwork ever created, just being the cover for the iconic "Heroes", with the original name crossed out and a box over Bowie's face. Despite the artwork, Bowie has had an extremely creative career. This is the longest break he's taken between albums and, while an artist of his caliber has earned his rest, the return is most welcome. 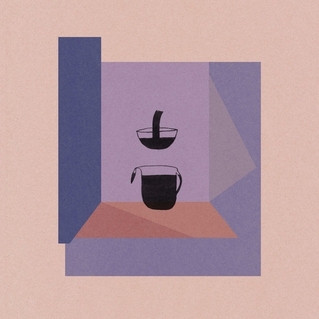 Listen/Watch: "The Stars (Are Out Tonight)"
Devendra Banhart has a diverse background that has played prominently into his music. His earlier work tended towards a lo-fi, somewhat experimental sound; over time, though, his music has become more and more defined. This record seems to be a culmination of the progression of his sound. It maintains many of his influences, South American music, rock and folk, but the intention has become much clearer. Listen: "Fur Hildegard von Bingen"
Clapton has been around about as long as David Bowie, though he's been a much steadier performer (mainly, he's released about three albums in the ten years Bowie hasn't). He's fairly faithful to releasing an album every three years or so and this comes about three years after Clapton. Unlike some other still-performing established artists, I'm not sure that Clapton has maintained the level of quality he put out on earlier releases. I keep coming back though, and there's always something new to find in each release. Fairy tale-inspired single from an up-and-coming British duo, with an accompanying video referencing many iconic tales, including Little Red Riding Hood, Rapunzel and Sleeping Beauty. 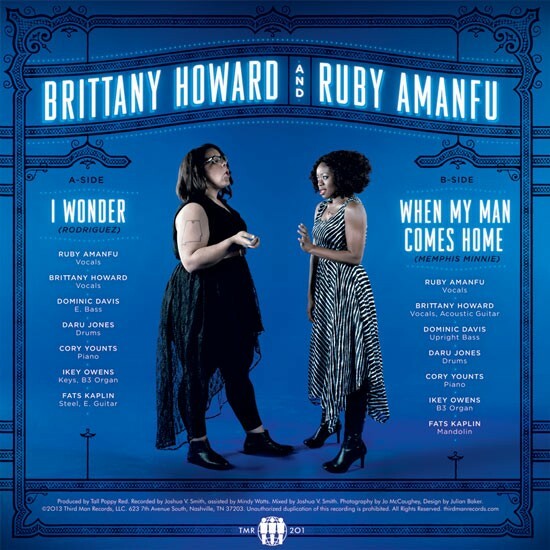 Brittany Howard & Ruby Amanfu - "I Wonder"/"When My Man Comes Home"
Third Man single featuring the Alabama Shakes frontwoman and Jack's right-hand girl. They cover songs by Rodriguez and Memphis Minnie. Listen: "When My Man Comes Home"
A singles album to commemorate ten years together for the band. It's not a proper "greatest hits" album as it glosses over many of their more popular releases. Desperacidos - "The Left Is Right"/"Anonymous"
A pair of (if you can't tell by the name) liberal-leaning singles marking a return for Conor Oberst to an old band. Smith Westerns - "Varsity"/"Case and Point"
New single in anticipation of their third album, Soft Will, coming in June. If the first single is any indication, this album will be just as awesome as Dye It Blonde. I'm pretty slow to start listening to new hip hop, but after seeing the praise that this artist's latest album, good kid, m.A.A.d city got (it came in third on my combined critics list), I knew that I should probably check it out. This track quickly became one of my favorites. Because the track is fairly simple, I think it may be the best show of his talent on the album. 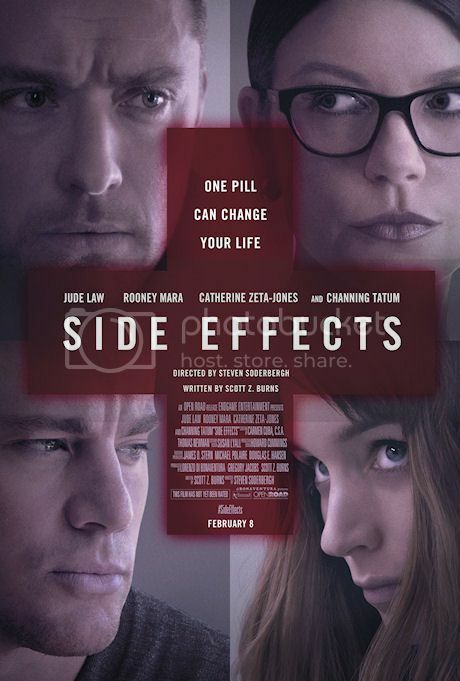 In Side Effects, Emily Taylor (Rooney Mara) is understandably under a lot of stress. Her husband of only a few years, Martin (Channing Tatum), has just gotten out of prison with a sentence nearly as long as their marriage has been. Despite him being back home, she's still not very happy, so she starts to see a therapist, Dr. Jonathan Banks (Jude Law). Dr. Banks ends up prescribing her a new and still under-review new anti-depressant, as suggested by Emily's former doctor, Dr. Victoria Siebert (Catherine Zeta Jones). They seem to make her better, until she commits a horrible crime. It all seems to be a side effect of this controversial new drug, but the truth is so much more complicated. I'll be honest, I wasn't expecting much from any of the acting in this film. I hadn't really seen Mara in anything other than The Social Network, in which she played a somewhat minor character. Channing Tatum has been somewhat of a pretty boy to me and it seems like it's been awhile since we heard from either Law or Zeta Jones. Regardless of my preconceptions, they all blew me away. The movie itself was great, too. At face value, it seemed to be a cautionary tale about the use of prescription drugs, but ended up being a very different type of thriller. It makes me sad that this may be the last film that Steven Soderbergh directs, but he's definitely gone out on a high note. Thievery Corporation - "The Forgotten People"
Matt & Kim - "It's Alright"
I haven't ever seen something like this before, so I don't know if it has a name. I shall call it... sleepdancing! Matt & Kim released their fourth full-length album, Lightning, in October of last year. Even a year and a half after the separation of Thurston Moore and Kim Gordon of the Sonic Youth, the status of that band is still in question. Other band members, like Lee Ranaldo, are staying busy with their own projects. Thankfully, so is Moore. This is his first album with this band and he shows that he can still rock hard. Popular British female singers over the past few years have generally been the powerhouse singers; think Adele or Paloma Faith. There is, however, still room for some cheekiness, which Kate Nash is the best at bringing. She's cute, she's quirky and she's still singing about lost love. No need to belt it when the music is this fun! I don't always listen to vocal jazz, but I do have my favorites, including Miss Peyroux. Madeleine became known for her Billie Holiday-esque voice, which is part of what initially drew me to her. Once she started writing more of the songs for her records, though, she started to come more into her own. That progression is continued here with a low-key style that brings jazz and blues back together. Listen/Watch: "Changing All Those Changes"
I fell in love with this Quebecois band recently when I decided to check out Zeroes QC, their debut album. There was an instant connection, but here is the hard part...the sophomore album. 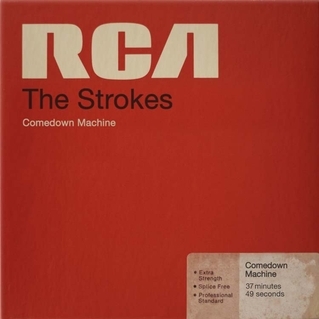 The album was streaming on AOL and, while none of the songs captured me in the same way that two of the tracks from the debut did, it was still a great listen. Trevor Powers made a big splash when he released his debut, The Year of Hibernation, and is in the same boat as Suuns in having a lot to live up to in the follow-up. All early signs show that he has done that and perhaps more; he's gotten some stellar early reviews. This is the debut EP from an offshoot of Akron/Family...it sounds nothing like Akron/Family. 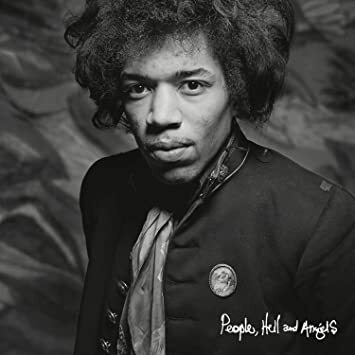 Listen: "Where the Wild Things"
A collection of twelve unreleased tracks from a planned follow-up to the iconic Electric Ladyland. A sad, but beautiful love story with Amour. This film follows Georges (Jean-Louis Trintignant) and Anne (Emmanuelle Riva), a seemingly healthy elderly couple. One day, at breakfast, Anne goes blank, not responding to Georges at all. When she comes to, she has no memory of the few minutes that she was out. It turns out that she had a minor stroke. It was however, not to be her last. After a second stroke, she is left paralyzed on one side of her body and, over the proceeding weeks, her condition continues to deteriorate to the point that she is bedridden and entirely dependent upon her husband. Georges must deal with his own sadness in the situation, his wife's loss of a will to live and his daughter's (Isabelle Huppert) own frustration in the situation. The film garnered some very deserved Oscar nominations, Michael Haneke for Best Director, Emmanuelle Riva for Best Actress, Best Picture and Best Foreign-Language Film, winning that last one. It's certainly not one of those all-around exciting movies, but it succeeds in its subtlety. You feel the mounting frustration of the situation in time with Georges. While it's not a movie that I would be able to watch over and over, it was certainly an excellent film. Recently, we have lost two members of the iconic soul group, The Temptations, Damon Harris and Richard Street. From billboard.com: Richard Street is on the left, Damon Harris on the right. Damon joined The Temptations in 1971 after a stint in a Temptations tribute group, The Young Tempts. He became the youngest member of the group, nearly a decade younger than the other members. He passed February 18, he was just 62. Richard was a member of a number of Motown groups before joining The Temptations in 1971 to replace Paul Williams. He remained a member of the group until 1993. He died on February 27 at the age of 70. Listen: "Papa Was a Rolling Stone"